UPDATE: The original chart displayed in this post contained data that made APS’ spending look even more out of line with spending in other school districts. 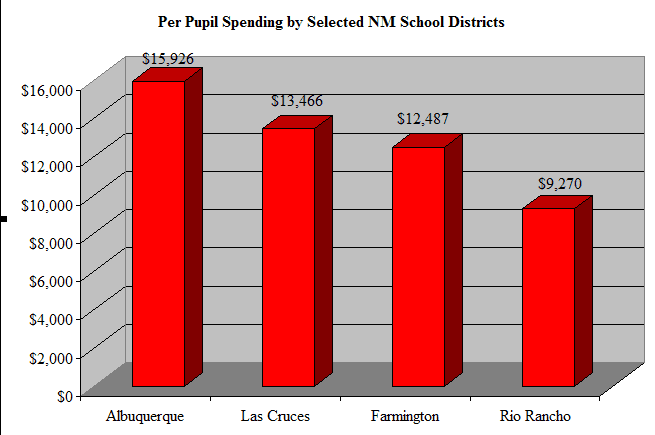 This is because of a discrepancy over total spending vs. operational spending.. APS annual spending exceeds other large New Mexico school districts (we are waiting for full data from Santa Fe) and, most notably, neighboring Rio Rancho. We apologize for the error. When compared to other major school districts throughout New Mexico, Albuquerque Public schools are very well-funded and should face increased demands for efficiency. 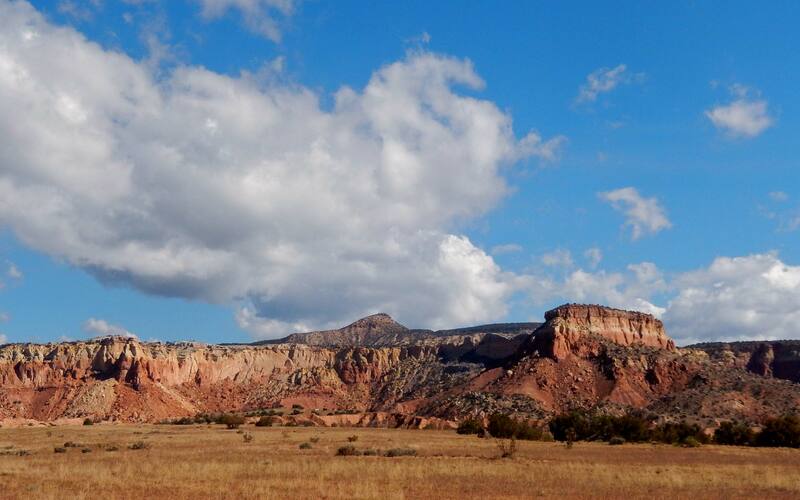 “That’s the conclusion of a Rio Grande Foundation analysis of the overall budgets of a few of New Mexico’s larger school districts,” said Foundation President Paul Gessing. “Our methodology was extremely simple,” said Mr. Gessing, “We found the annual budget and divided it by total student enrollment.” For Albuquerque Public Schools, that meant dividing the $1.34 billion found on page 44 of the APS budget by enrollment of 84,138 as found on page 32 of the same document. This yielded annual per-pupil spending approaching $16,000 annually. Said Gessing, $16,000 annual spending per-pupil is far higher than the national average (which is closer to $11,000 per-student) and, per the Foundation’s analysis using data from a few districts throughout the State, far more per pupil than other districts.